Our stylish, eye-catching Violetta twisted cotton stripe jumper in Dusty Teal is knitted with a mix of tonal colours to create large vibrant stripes and features a mix of contrasting narrow and pointelle knit stitches. 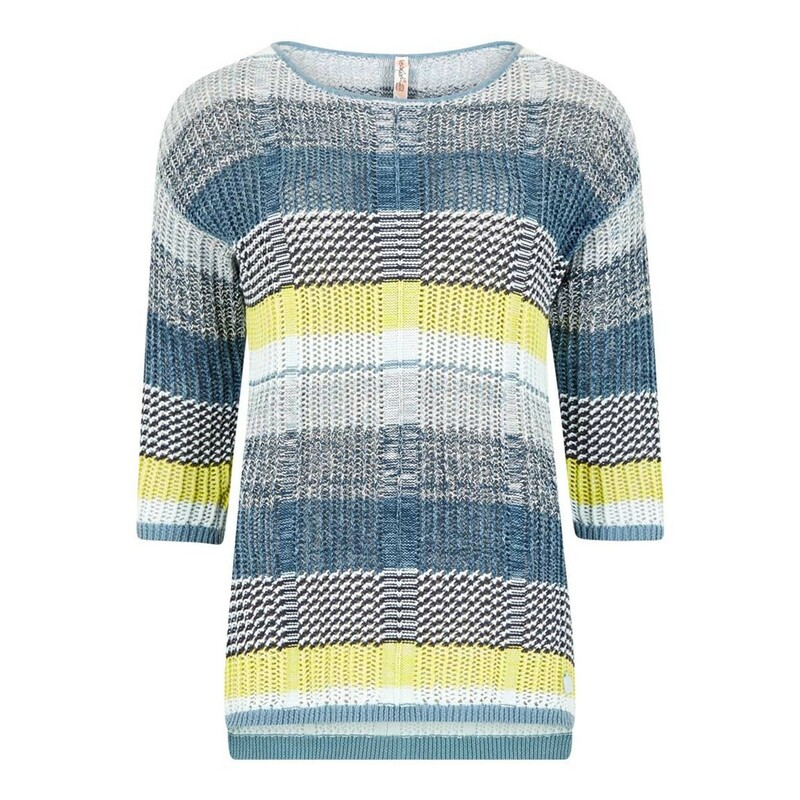 When the air turns cooler, or the sea breeze whips up, throw on this colourful striped jumper to compliment your favourite outfit. So pleased I ordered this jumper, it is something a bit different for me, the colours are eye-catching and it is a perfect fit....very happy! Great jumper for cooler days and great price on sale. Not yet worn but felt light and feminine when tried it on. Looking forward to wearing. Versatile colours. Cool lightweight sweater - love it.